← Apartmenttherapy.com features my own home! 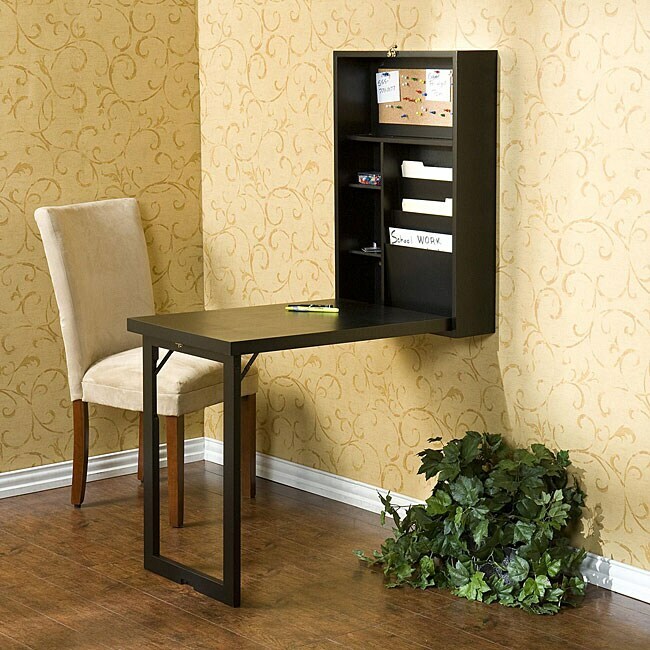 Small space solution for home office. Working from home, as I have a real job too, I can do with a designated work space. I now work in any room or area of the house depending on mood, weather or what’s on telly (can’t afford to miss those BBC home shows!). But my fysio therapist recommended I buy a proper adjustable office chair and to support my back. Also, I would love a little area to call my office. We have a study upstairs actually, and all it needs is a bit of redecorating, but it’s nice to let the mind wonder. Hence my search for home office solutions today. I stumbled across one find I really had to share. This stunning little piece of genius actually folds out into a small work desk with clever storage space for mail, notes, bills etc. This entry was posted in Design, designers and online finds, General living and fun stuff and tagged fold away desk, fold out table, hidden work space, hide laptop, home office, kantoor thuis, small spaces, storage, storage solutions, werkplek. Bookmark the permalink.